Spiegel & Grau, 9780385529822, 256pp. 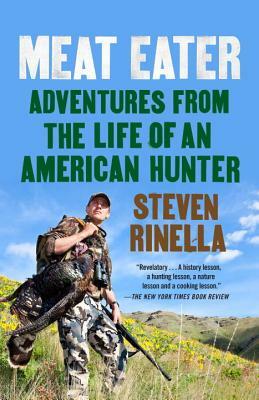 Steven Rinella is the author of American Buffalo: In Search of a Lost Icon, which was the winner of the Sigurd Olson Nature Writing Award, and The Scavenger’s Guide to Haute Cuisine. He is the host of the television show MeatEater on the Sportsman Channel, and was the host of the Travel Channel’s The Wild Within, which was nominated for a James Beard Award. His writing has appeared in such publications as Outside, Field and Stream, The New Yorker, The New York Times, Vogue, Men’s Journal, and Salon. Born and raised in Michigan, he currently lives in Brooklyn, New York.